Here are our top ten non-fiction books of the year, voted for by Readings staff. Displayed in no particular order. Don’t be bemused by the title: this is an essential and hilarious book for everyone. Journalist and Kitchen Cabinet host Annabel Crabb takes a fresh and amusing approach as she unravels the rusty idiosyncrasies of Australia’s work–life systems and assumptions. Crabb’s vivid analysis and interviews with prominent career–family jugglers of both sexes combine to make a page-turner rich with insight and ideas for giving everyone a better deal. If you only read one book this summer, make it this one. This is a fair account of Julia Gillard’s time as prime minister of our not so fair country. Gillard takes a pragmatic who, what, when, how and why approach to her record and acknowledges those who travelled with her. There will be many readers with whom her stories resonate, to the extent that this feels like – and in many ways, is – our story. This is essential reading for anyone interested in journalism, politics, feminism, or our collective sense of humanity. Helen Garner turns her novelistic eye towards the Farquharson case, in which a divorced father stands accused of driving his three sons into a Winchelsea dam and leaving them to drown. 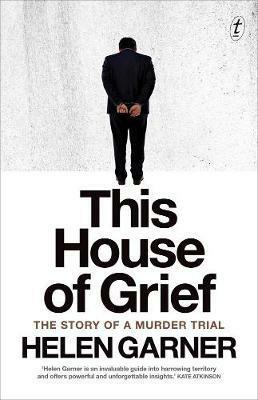 This House of Grief is both a deeply-felt lament and an expression of Garner’s own infatuation with the vagaries of the courts. Lorelei Vashti looks back with humour and compassion, but also with a kind of disbelieving wonder, at the moments of gravity and minutiae that have shaped her life. It might seem cliché, but I did laugh and cry at this immensely self-aware and knowing memoir of that time when we grow from uncertain, awkward, precocious young adults into more certain versions of ourselves. Vashti’s beautiful, funny, complex memoir is earnest and ironic, dressed in costume and stripped completely bare. Australian biologist Tim Low has crafted a thrilling and utterly absorbing work of non-fiction that reveals how the story of our native birds is inexorably tied to the story of Australia itself. Brilliantly researched and highly addictive, Where Song Began presents a fresh, and somewhat provocative, understanding of evolution and our global history – all in relation to our feathered friends. Erik Jensen documents the final tortured years of Archibald prize winner and enfant terrible, Adam Cullen, in this fascinating character study. During the writing, Jensen and Cullen developed a relationship that veered sharply away from the professional. Cullen, who counted Hunter S. Thompson as a hero, puts Jensen through the ringer. He throws him from a speeding motorbike and, after some heavy drinking, shoots Jensen in the leg. Despite these trials – or perhaps because of them – Jensen manages to construct an elegant and touching portrait of a deeply troubled man. I love this book; I love the writing, I love the language, I love the breadth and the insights. It took Watson seven years to write this book and it’s been worth the wait. ‘I hated it at times,’ Watson confided in me, but if he did it doesn’t show. What does the bush and what we’ve done to it mean to us? Watson mines our history to explain our country in a most marvellous way. Roxane Gay is a rising literary star in the US and Bad Feminist is a collection of her thought-provoking essays on race, inequality and gender. Gay is particularly brilliant at writing about pop culture, and many of her best pieces in the collection are on film and literature. From her love letter to Sweet Valley High to her shockingly powerful and very personal essay on The Hunger Games, Gay’s work is intimate, honest and always entertaining. This generous, probing collection takes us from clinical observation rooms and disease support groups to the streets of gangland LA, all the while offering the kind of pithy, uncomfortable and left-of-centre reflections on society and human behaviour that typified Joan Didion’s early work. The essay ‘Grand Unified Theory of Female Pain’, on the image of the ‘suffering woman’ throughout literary history, is a standout. Like the book itself, it is an illuminating mosaic of a humanity revealed as both raw-nerved and insidious. If enough people read this book it really should change everything. Naomi Klein’s latest work tackles the complexities of climate change, politics and the economy. It is a fantastic (and incredibly sobering) summary of academic thought across a range of disciplines. As always her writing is straightforward and compelling and despite some truly frightening new insights into capitalism versus the climate, the book is not without hope for a different future.